If you’re looking to change up your hairstyle, hair color, or try out a new hairstyle trend; celebrities can be a great source of inspiration! The latest hairstyles, haircuts, and color trends can be found on the red carpet and can be just the inspiration you need to try something that may be out of your comfort-zone. Here is a round-up of popular celebrity hairstyles that may challenge you to step out of your comfort zone! Stylish and low-maintenance is how we describe this look. Following in the foot-steps of other celebrity hairstyle trend-setters, like Charlez Theron and Rumor Willis, celebrity Kristen Bell traded her medium length hair for a sleek bob that lands right above the shoulders. The beauty of this classic look is it can be easily changed up by moving the placement of the part, adding some waves or curls, or by wearing it messy. Celebrity Katherine Langford has been known for her fearless color transformations from blonde, to dip died cranberry, to most recently, rich auburn. In fact, a lot of celebrities have been trading their blonde hairstyles in for a darker hue. “Brunette is back!” Langford posted on Instagram and, if that is true, we’re loving this celebrity hairstyle! This year, the fringe, as seen on celebrity Tiffany Haddish, has been a very popular hairstyle. This celebrity hairstyle quickly transforms your look by adding fringe bangs. The full-on-fringe hairstyle requires wearing your bangs long and straight, so that they slightly cover your eyebrows, and reach a bit longer on the sides of the face. When you have grey hair, you try to cover it and when you don’t have grey hair, like 28-year-old model and activist, Iskra Lawrence, you dye your hair grey to get it! The grey hairstyle trend is apparently a thing and maybe this celebrity hairstyle will inspire those of you with naturally grey locks to just go au naturale! Faded pastels are all the rage right now and celebrity Lady Gaga rocked it at the Golden Globe Awards this year. Going multi-tonal, she dyed her platinum blonde tresses sky blue and highlighted it with intense splashes of color throughout. Celebrity Kate Hudson either knows the secret to growing hair overnight or she’s sporting the latest trend: hair extensions, which is the quickest way to change up your look with no long-term commitment! Hudson transformed her cute, above the shoulders, bob to long, past the shoulders, locks with pastel pink highlights. A celebrity hairstyle that’s so chic! Celebrity Julia Roberts just got a hairstyle update that everyone is raving about! The 51-year-old actress recently cut off about 4 inches of her signature tresses and is now sporting a trendy, textured, shoulder-length “lob” (a combination of long hair and a bob). The lob is the perfect celebrity hairstyle for the gal that wants the stylish look of a bob but doesn’t want to cut off too much of her luscious locks. Ready to rock one of these stylish celebrity hairstyles? Contact us today to schedule an appointment with the best hair salon in NYC! 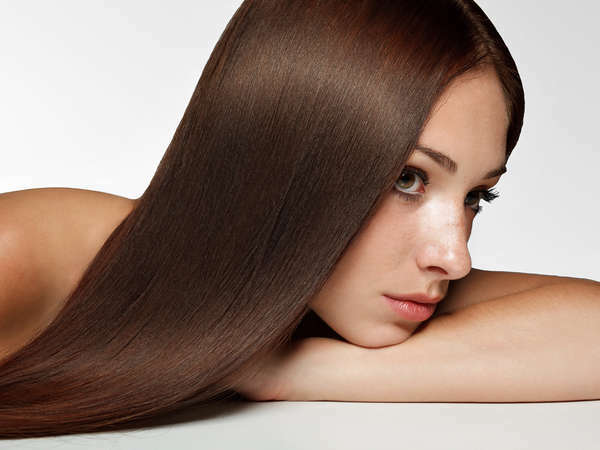 ← Hair Straightening Options: What is a Brazilian Blowout?